My husband doesn’t eat seafood save for fish so I rarely cook shrimp, crab or anything that’s from the sea that doesn’t have scales. I was glad to have the chance to try making chili crab when my sister brought some fresh crabs when she and her family came for a visit. 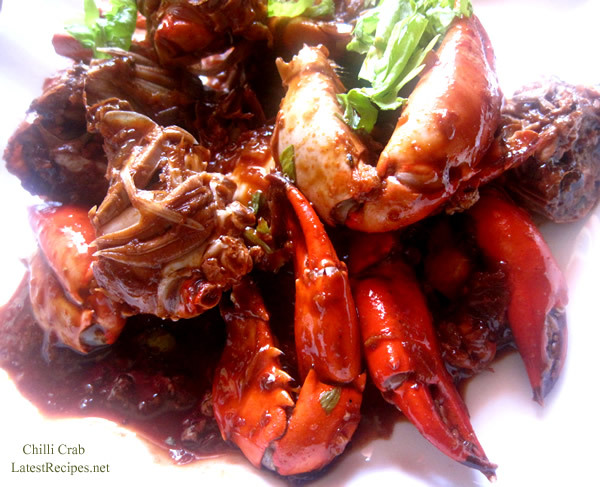 Chili Crab is one of those dishes that you eat with your hands; it can be very messy so it’s better to eat it in the comfort of your home. 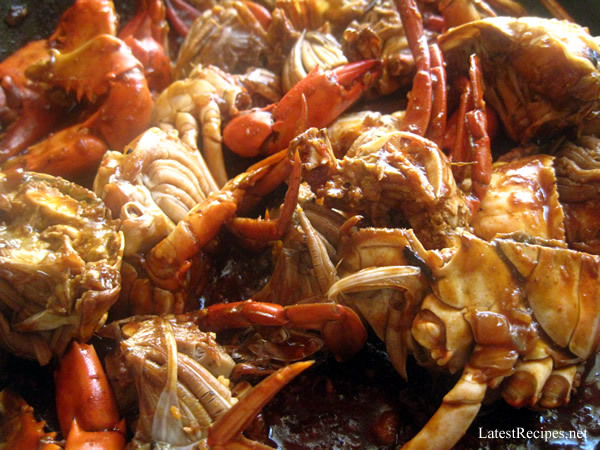 My kids and I love it, I didn’t make it too spicy so they can really appreciate it, I had to feed them though because they don’t have any idea how to eat it..those crab shells are dangerous, I got hurt trying to split it open. 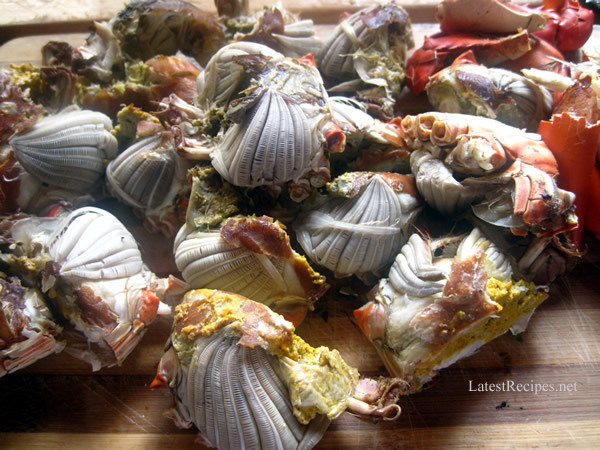 Pull the main shell off the crab and discard it. Remove the gray gills and the soft insides. Cut the body in half and then cut between each leg. Crack the legs and claws with the back of the knife or a hammer and set aside. 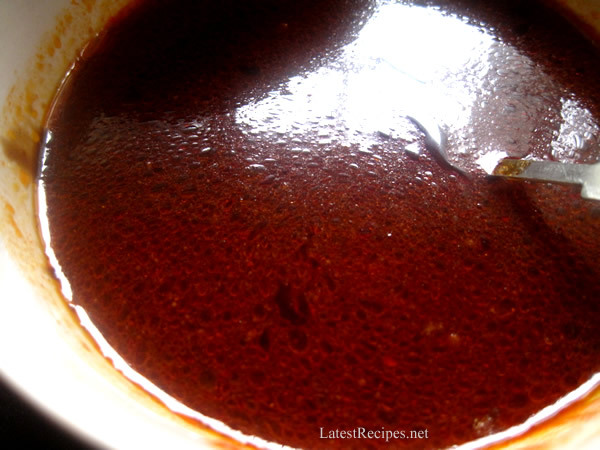 In a bowl mix the ketchup, chili paste, oyster sauce, soy sauce, and tamarind paste or powder; thin it with 1 cup water and set aside. Pour the oil into a wok or large skillet over high heat. Add the scallion, ginger, garlic, ½ the chile, and cilantro and cook for 1 minute. Add the crab and stir-fry for another minute. Pour in the sauce and continue cooking, stirring often, until the crab has absorbed the sauce and the sauce has thickened, about 5 minutes. Put onto a platter and garnish with the rest of the chile and cilantro. One Response to "Chili Crab"